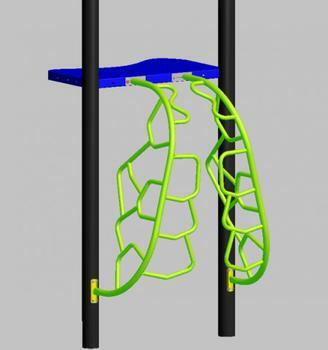 BCI Burke Company of Fond du lac, Wis., is recalling about 200 Merge playground climbers. This recall involves the Burke Merge Metal Climbers that are used on play equipment as an attachment that allows children to climb up and access the play structure. The metal climbers were sold in many color combinations with small geometric shaped openings with a platform and two welded handgrips at the top. “Burke” is printed on identification labels that are placed on the exterior of the entire play structure. The climbers, manufactured in the U.S., were sold at BCI Burke Company and its distributors to public and private organizations including schools, public parks and home owners associations nationwide from November 2015, through March 2018, for $1,400.